Today is a sad day at our house. 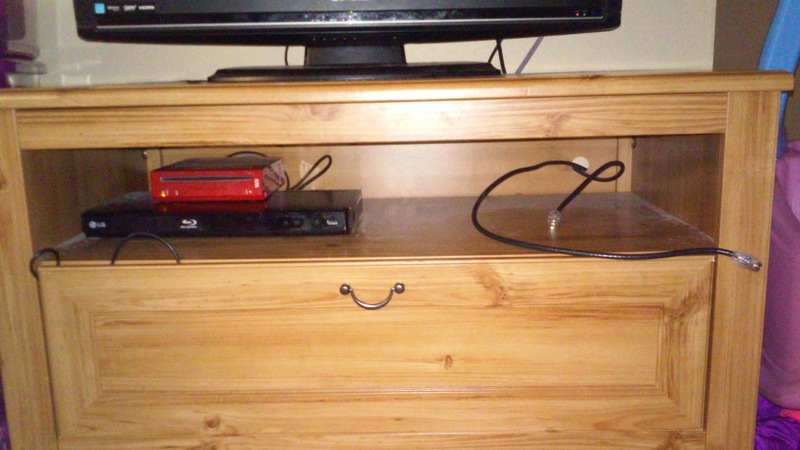 Yup look at that a DVD player and a Wii but no more cable box. Gone are the days of the kids being bums in front of the tube. We dumped it because we can't afford it anymore. Ok, we can if we don't want to get our bills paid down to be able to take a vacation this summer. Our bill is going from $149 a month to less than $80. 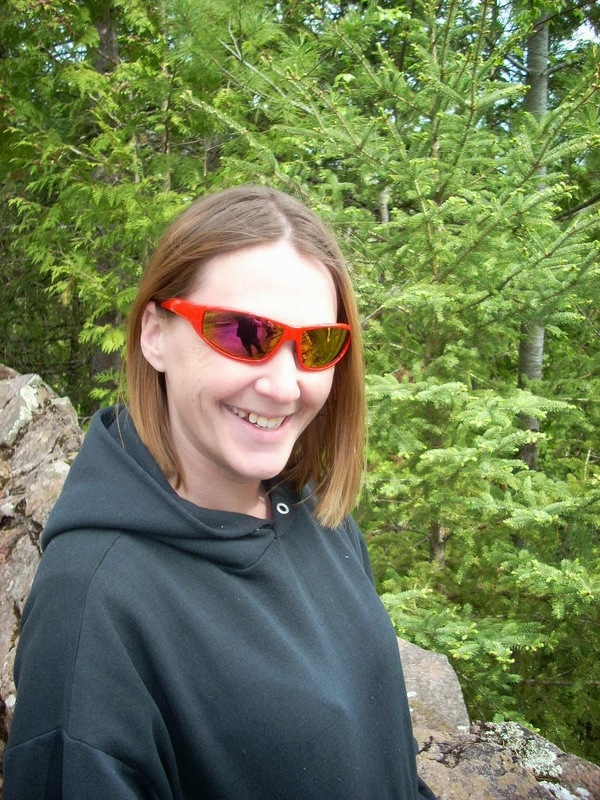 I still think that $80 is crazy but with no home phone line nothing else is available in our area. So what to do when you can't watch TV anymore? 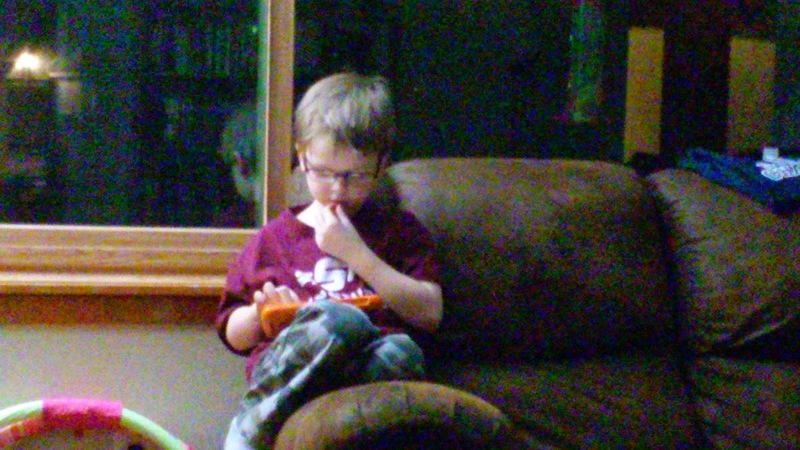 G says read a book on his tablet. 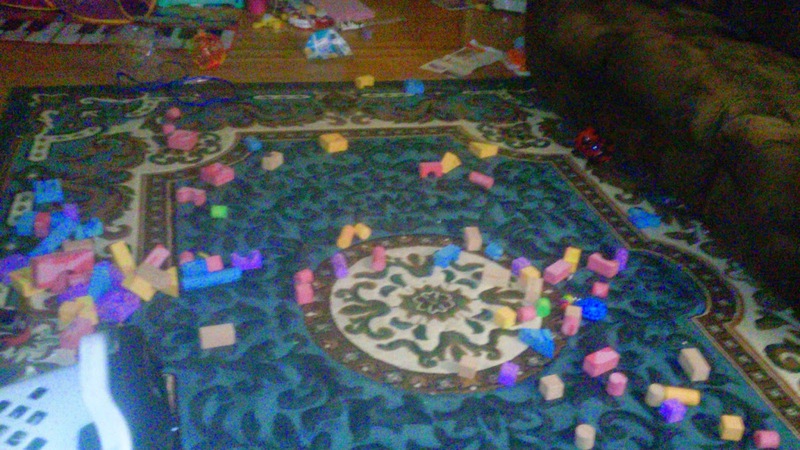 Z says play with blocks. K said nothing because he had confirmation class at church this evening so he wasn't home to complain about it. D worked on the Suburban. 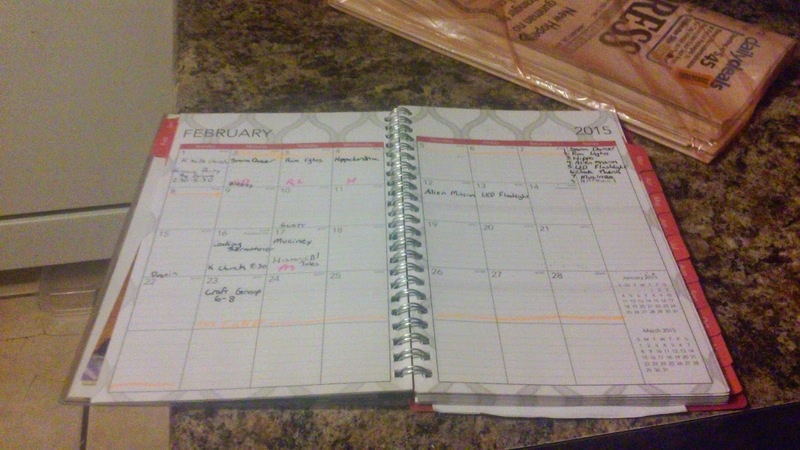 I checked out my planner to make sure that I am where I wanted to be for January and looked ahead to February. 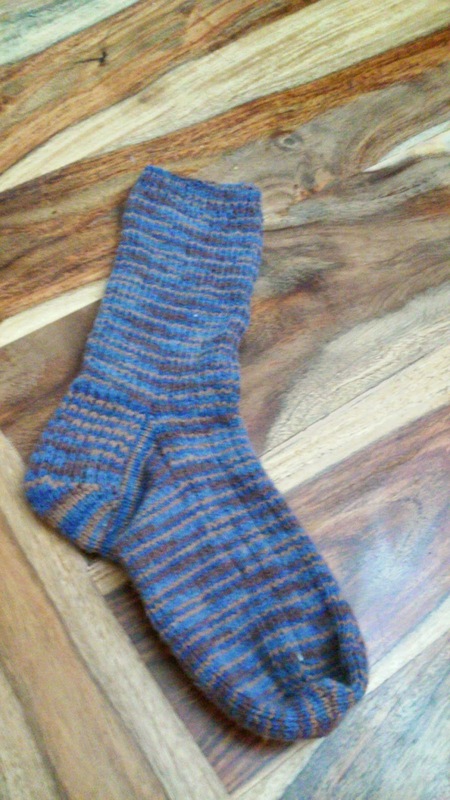 I did some knitting and actually finished one of K's birthday socks. I did some Amazon shopping and bought D's birthday present. 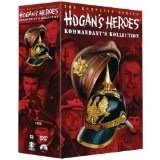 He made a comment when I was leaving to return the cable box that he is going to miss Hogan's Heroes the most so I bought him the 6 season collection. 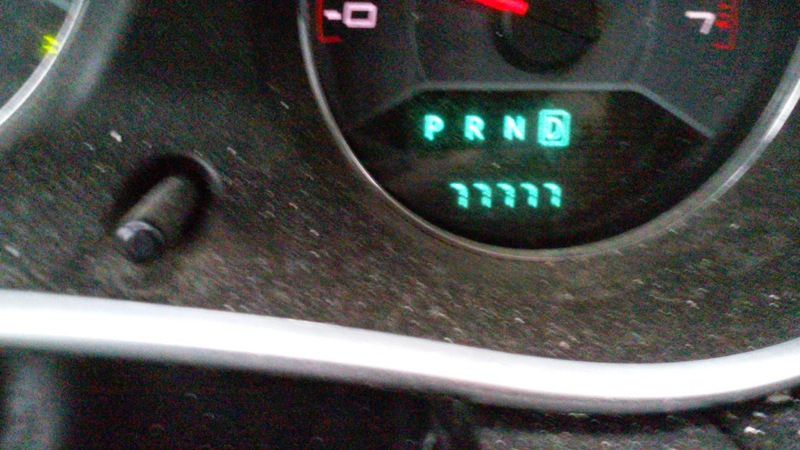 I his 77,777 miles on my car today so I had to get a pic lol. I made it to day 28 without a smoke today. That is 4 whole weeks that I have gone without this weight that I have been carrying around for most of the last 20 years. We have only gone 4 hours without cable so I can't say if it is worth it yet but I am looking forward to watching some of the movies that we own that I have yet to see. Ok, and I am looking forward to my kids actually talking to me instead of watching TV. Good luck on your cable-free lifestyle! Cable TV is expensive and is getting more so all of the time. That doesn't imply that there is actually anything worth watching on cable TV, even with all of those channels.Oh, and congratulations on 28 days without a smoke! That is fantastic! I agree it is way to expensive to watch nothing but junk. We went without cable for a year and a half. It's really not that bad. I am so proud of you for not smoking!